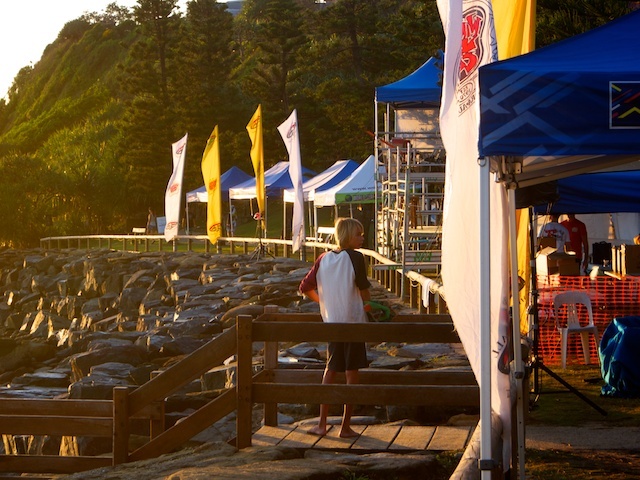 From out of the shadows, people start to move, food preparation begins, tee shirts and thongs are hung on racks to be sold to the surfing crowds. In an hour the finals will be underway. I love that early morning time when all is fresh and cool..before every one arrives and messes it all up haha! Beautiful images both yesterday and today, can smell that fresh sea air, nice!